Beep, beep, bee-beep, before you know it, it is another Monday morning, full of dreary work and demanding people. All the inspiration and motivation of last night’s lecture seem to be a dream. Sounds familiar? Our generation is blessed to be in an age where gaining Islamic knowledge is literally a click away, we can listen to our favorite shuyookh wherever and whenever. Lectures and courses have a bit of humour and their content has become more relatable and applicable – alhamdulillah, it is all very beneficial. Unfortunately, the sudden rush of imaan we feel right after hearing these speeches is quick to escape us when we slip back into what we call “reality”: in other words, our work, school, and family life. To combat this type of withdrawal, it is first important to note that our Islam is our way of life, and it is our reality, and therefore we should integrate worldly work into our Islamic life, not the other way around. Secondly, the lectures, classes, and seminars we attend are bursting at the seams with inspiring quotes, lessons, and practical tips, and we cannot retain most of what we hear. Even if you do not like writing, or just want to absorb what the speaker is saying, you won’t be able to properly benefit if you cannot refer back to the content at a later date. There will be knowledge, quote, and thoughts that you will want to remember later on. The best thing to do is to buy a small notebook and keep it with you whenever you attend a lecture or listen to one on your ipod while commuting. This will allow you to transcribe it into your brain and will be readily available for reading as needed. Keep these motivational messages in sight by writing them on sticky notes and placing them on your calendar, planner, computer screen, desk, fridge, etc. Reading these everyday will allow you to both remember how you felt when you first heard them, and will also allow you to reflect on them throughout your day. Also, add short du’a on notes like this – by simply reading these adhkar everday, they will effortlessly enter your memory. “The most beloved deeds to Allah are those that are most consistent, even if they are little in amount.” A lot of times we feel that because we cannot volunteer a lot of our time for the community or stay up all night praying, our deeds are worthless. However, the smallest and most consistent of deeds are the ones that show our sincerity and love for Allah. By claiming that small deeds aren’t worth anything and thus not doing anything at all, we are lowering our imaan. Instead, we should make a plan to implement one specific good deed everyday, and ensure that we are consistent with it – consistency is the key. For example, maybe you want to donate $2 a day, or add 2 nafl rakat in addition to the salaat you pray every day. Or perhaps a lecture may have motivated you to pray Fajr in the masjid every morning, but soon enough you find excuse after excuse to prevent yourself from gaining the reward. Instead, as soon as you realize that this is something you want to implement, make a plan on how you are going to ensure that no matter how tired you are, you will make it to the masijd. This could include leaving your clothes and shoes out the night before, or sleeping earlier at night. Whatever it takes, once you make the intention, it is important to discipline yourself and make sure that you follow through. Though it is a ‘small deed’, the struggle and the feeling of accomplishment can boost your imaan everyday. Furthermore, this so-called small deed becomes quite big when you do it consistently, for years, insha Allah. Though lectures are a great way to improve our relationship with Allah, the application and hard work has to come from us; we cannot always rely on speakers to keep our Imaan up, and rather we must ensure that we are productive on our own. The best way to keep your emaan steady (and/or increasing) is through reading and connecting with the Book of Allah, The Qur’an; make this a routine and a commitment, 1 ayah, 1 page, or 1 juzz a day. 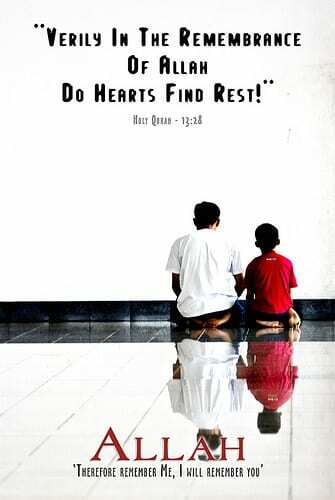 If we want inspiration, motivation, comfort, advice, we should turn to The Qur’an, sent as a guidance and mercy for us. It may seem tedious, but we have plans for our careers, school, and our family, so why don’t we have one for our most important goal? How are we going to work for Jannah? The list should be specific and goal-oriented. It is important to challenge yourself, but be realistic and work your way up. If you know you can’t pray 12 rakat tahajjud every night, then don’t write it down – why not start with 2-4 rakat once a week and then increase it to a few times a week. I’m not telling you to aim low, but to take measured steps and upgrade your goals as these deeds become established and you become stronger. After writing down what you want to do, list what you are going to do to attain it, step by step, and make sure you set the date of which you will start, and stick to it insha Allah.